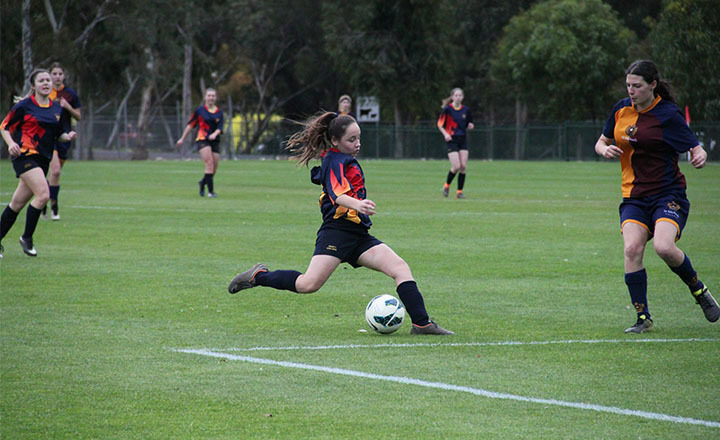 Trinity College offers a soccer program that caters for all levels of participants from Early Years to Year 12. The program aims to provide an enjoyable and competitive environment for students to develop their abilities. In recent years Trinity has sent three players to the Australian Institute of Sport (AIS) and has had numerous players in SAPSASA, STIC and Skillaroos programs. Soccer Technical Director Scott Tunbridge runs a developmental soccer academy for players in Early Years to Year 6. Scott is an old scholar and former professional player who can show your child the correct fundamentals in a fun and dynamic environment. His Trinity College Junior Soccer Academy runs all year round. 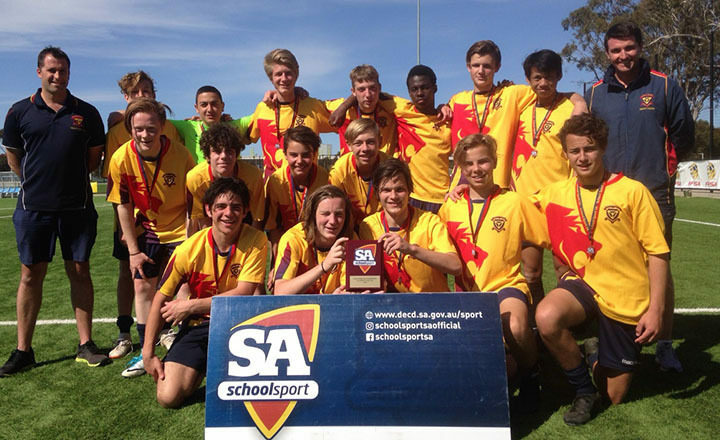 Trials are held in Term 1 to select College teams to play in the Sports Association for Adelaide Schools (SAAS) competition against other Adelaide schools in a home/away format throughout Terms 2 and 3 for boys’ teams. Practice is once a week and games are held on Saturday mornings, with some mid-week games held under lights for the 1st XI and 2nd XI teams. We enter the Catholic Schools competition for our girls in Years 7 to 12. Trinity also enter several teams each year in the SSSSA state knockout competitions and we also participate in an annual intercol competition with St Michael’s College.